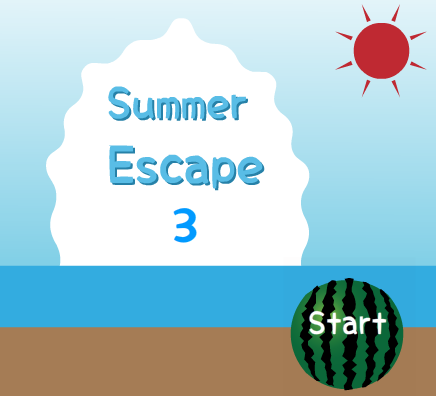 Twinkle - Summer Escape 3 is another Japanese point and click room escape game developed by Twinkle. In this game, you try to escape the room by finding items and solving puzzles. Good luck and have fun! Put sauce on 5 logs, turn and come back for LR clue. Missing green icecream and knife (?) for melon. @Catqueen, knife behind pink cupboard to the left. @Catqueen, it's ok, just pixel-hunting. Thx nomelted. Our posts crossed. I'm out. Nice game as always. I'm very stuck, can't get the number door open. Restarted, but no way. I think it's 698, tried also 869 and even 896 and 968. What am I missing? OK, got it open after a hundred tries. Don't know why it didn't do that earlier.